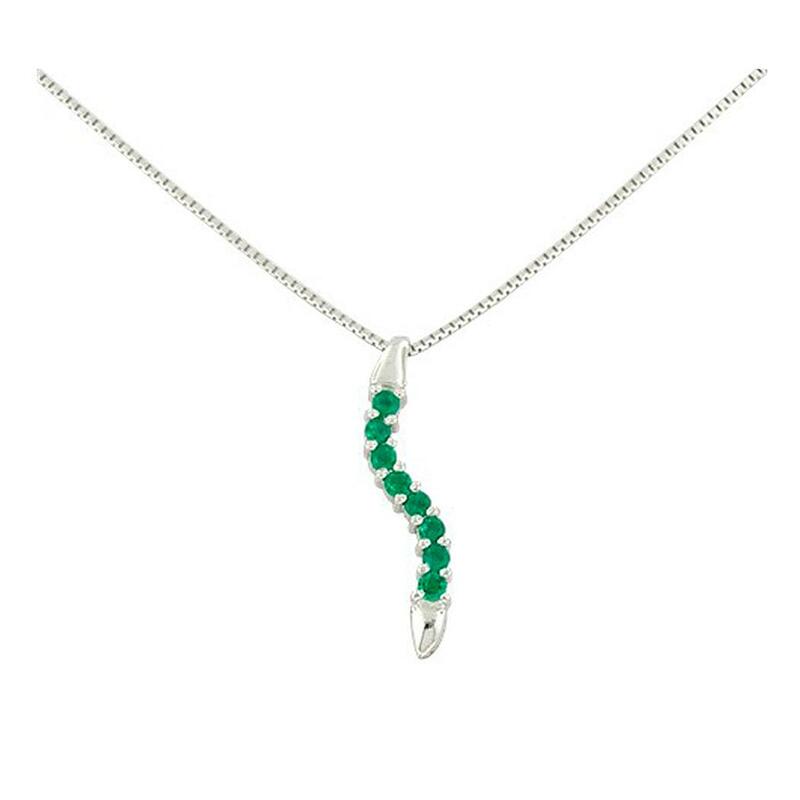 This beautiful emerald necklace has a stunning selection of 8 round cut emeralds set in a delicate and feminine design. 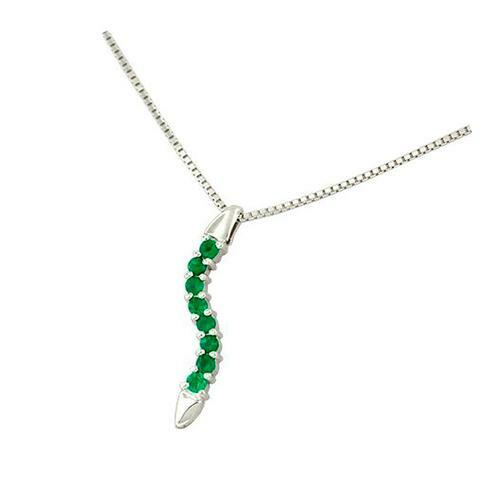 The emeralds are set in prongs over a wavy gold line that creates a fantastic and different look. 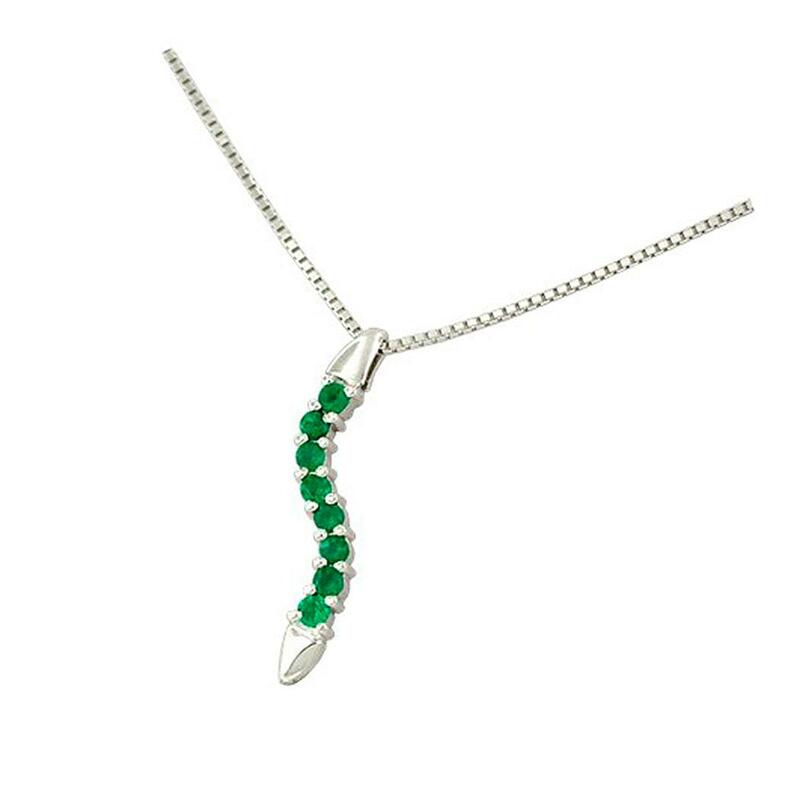 The deep and vivid green color of the emeralds stands up from the setting, and creates an elegant contrast against the high polish finished of the white gold material. 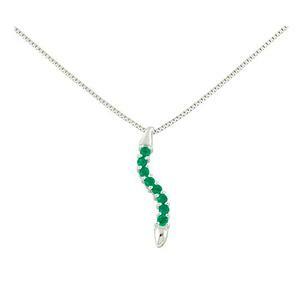 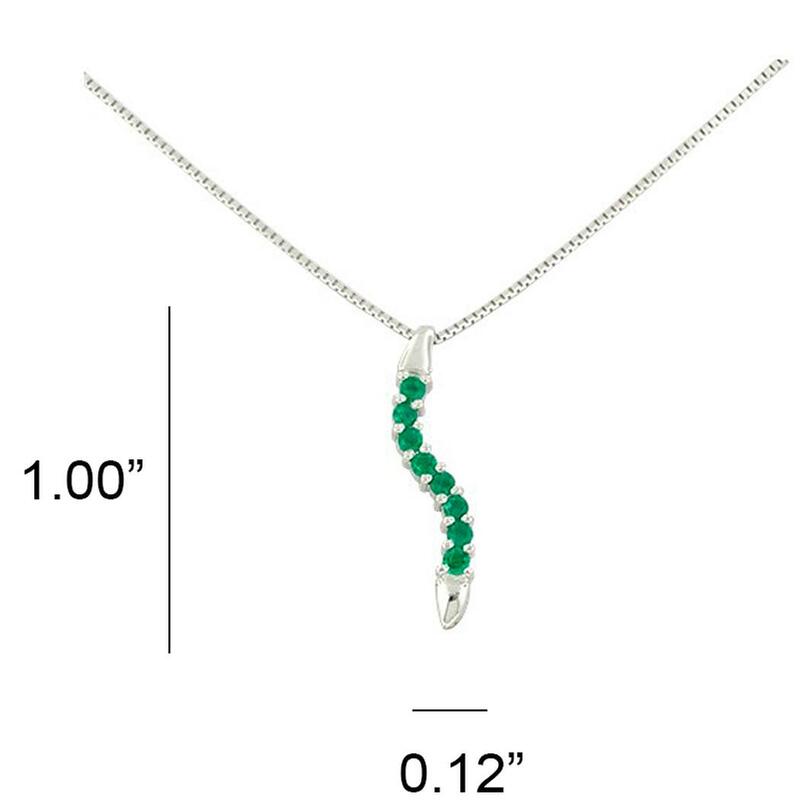 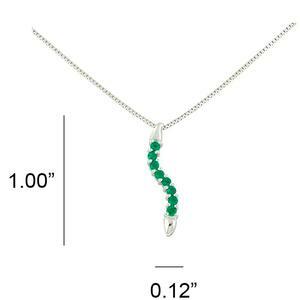 All 8 emeralds are hand selected and they have to match not only in size but also in tone, saturation, clarity and brightness to look good in this wonderful emerald necklace.